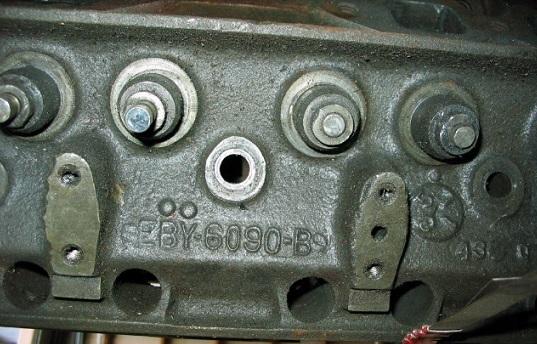 Note: 6090 is Ford's number for cylinderheads. All heads will have this number somewhere. It is meaningless! 0609 is 6090 upside down. 56 ECZ-B EDB-B 292 1.78" 8.0 k 200 4 bbl 56 Ford www.ford-y-block.com . NO HEADS ABOVE THIS POINT ARE POSTED. POSTING STARTED MAY 1957. 57 EDB-C stamped 312 1.92" www.ford-y-block.com S/C Factory race head? *Compression ratios listed are from Ford literature and are theoretic figures that exclude deck volume and head gasket displacement. Most published compression ratios are approximately 9% higher than actual. 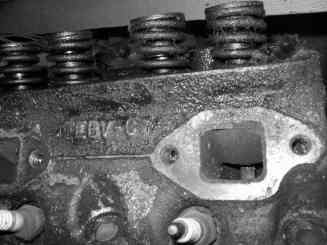 When engines are rebuilt with composition head gaskets deduct about 12% for actual compression. 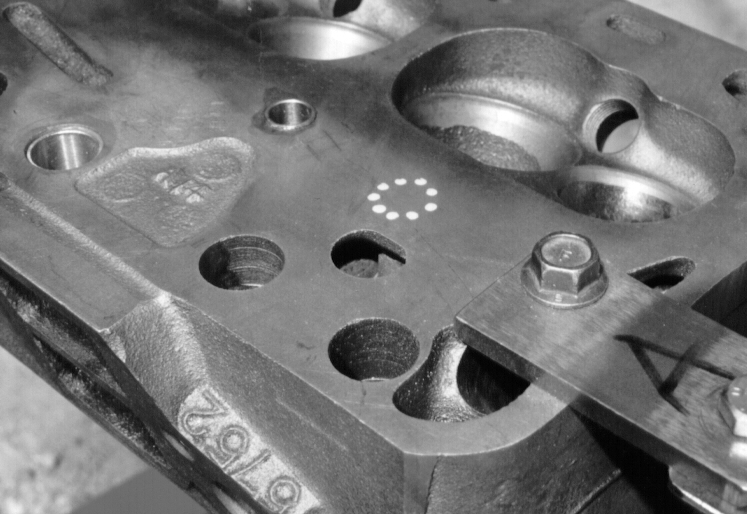 Do to the thinness of the deck surface of some Y-Block heads, particularly the ECZ-G heads, it is recommended that unposted heads not be milled more than .025". Posted heads have been milled up to .045" without trouble. 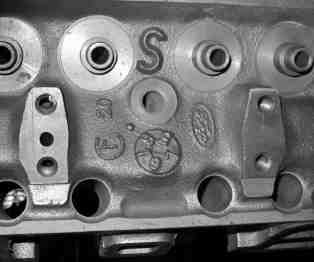 Heads with large "S" in between center exhaust valves are service replacement heads as date codes are after production run. 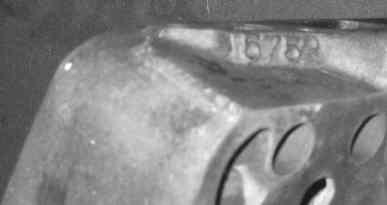 5752-113 service replacement head from 1961. Not used in production after 1959.